sonata | Oh! What a wicked web we stitch! 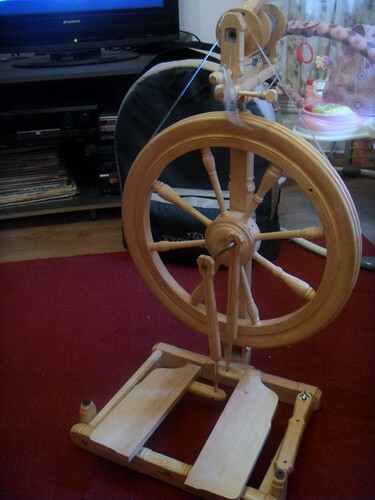 I GOT A SPINNING WHEEL!!!!!!! So when I choose the Sonata, my husband took one look at it and said, if you get that I am going to call you a pirate every time you use it lol. So if I be a yarn pirate then, me spinning wheel be me ship lol… I named her Queen Anne’s Revenge.. like Blackbeard ship but Queen for short 🙂 so now my husband plans to play a song called Queen Anne’s Revenge by a band called Flogging Molly too while I spin lol I plan to sew up a little pirate flag to hang off it somewhere. This is my first yarn on the wheel. I was told the yarn that is sticking out are called “horse tails”. I got these because sometimes when I would start or stop the wheel would begin to go counter clockwise and then I would get it going clockwise. 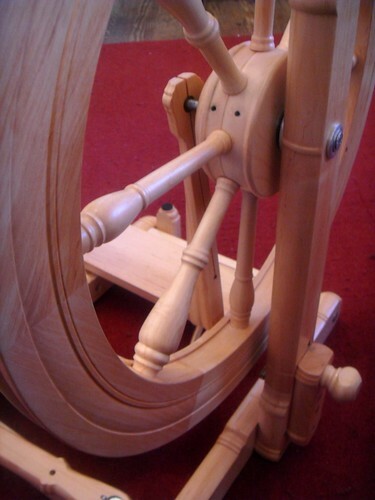 Though I have gotten my wheel now, I still use my spindles. 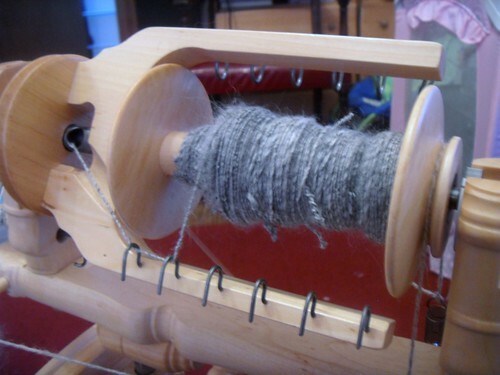 In fact I had took my two hank of spindle spun yarns and plied them on the spindle yesterday. I’ll write about that tomorrow or Monday. I just ordered more Shed Sheep fiber.. a little over 7 pounds!! Ack!!! I ordered a lot this time because on the wheel I am FLYING through the one pound of mill ends I bought, I am about to dive into my special fibers. Anyway, that is all for now. I have to get to bed and to sleep!